Florida State University graduate student Gabriel Gomes has traveled a long way to earn a doctorate in chemistry. Born and raised in the countryside of Rio de Janeiro, Brazil, Gomes attended the Federal University of Rio de Janeiro. That’s where he discovered his love of chemistry. Gomes first became aware of Florida State as an undergraduate in Brazil, and he immediately knew it was the place for him. With his sights set on attending Florida State for a doctorate, Gomes began to search for a way to make this dream possible. He realized that goal when he received a LASER Fellowship from FSU’s Department of Chemistry and Biochemistry. The Latin American Student Education and Research (LASER) Fellowship is designed to strengthen connections between FSU and Latin American universities and create opportunities for educational research, and it provides a stipend for Latin American students to travel to the United States to work on research projects for two months. Gomes, who started his graduate program at FSU in 2014, has excelled in his academic and leadership endeavors. Computational organic chemistry and physical organic chemistry are his primary interests and the subjects of his research projects. “My research uses computational methods to reveal the fundamental principles that control chemical reactivity,” Gomes said. His unique interest in the intersection of chemistry and computers opened the door to a new relationship between Florida State and IBM. When he reached out to IBM to apply for a research grant, that inquiry led to a productive collaboration with FSU. Gomes said the experience offered him a valuable opportunity to connect with other innovators. He received another chance to work with visionary scholars when he was accepted to attend the 2017 Lindau Nobel Laureate Meetings in Germany. The event invites young scientists to spend a week in Germany to connect with Nobel Laureates. Those experiences elevated Gomes’ leadership skills and knowledge level, which proved helpful when he returned to FSU. He wanted to give back to the university community, so he started mentoring students as a teaching assistant and overseeing undergraduate research. Gomes has received an array of awards for his research and innovation at Florida State, including honors from the American Chemical Society, Chemical Abstract Services and the International Union of Pure and Applied Chemistry. In the future, Gomes hopes to continue teaching as he pursues other career goals. 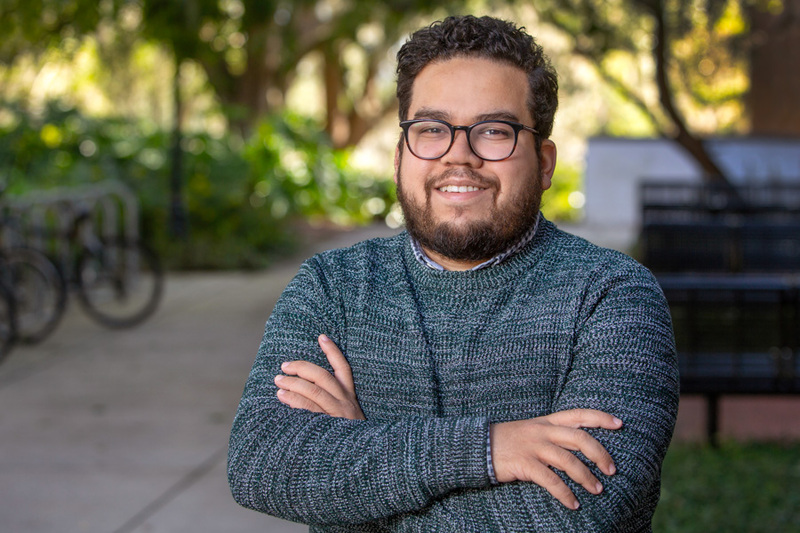 After graduation this fall, he plans to move to Canada, where he will work as a post-doctoral researcher at the University of Toronto developing autonomous laboratories and applying machine learning for materials discovery. As Gomes prepares to begin a new chapter in his life, he recognizes the powerful impact Florida State’s had on him personally and academically.